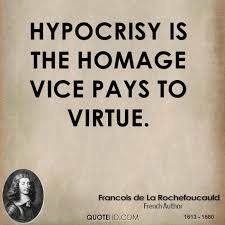 When any of our religious activities are done with a view to being noticed, we have joined the ranks of the hypocrites. According to Jesus, that building named in honor of Donor So-n-So, that pew labelled with the names of those who bought them (but no longer use them), are the only reward those folks will get for their giving. Sure, they were probably roundly applauded when the donation was announced, and that surely added to their reward—then. But, there is NO reward awaiting them in heaven for their generosity. There is also the promise of Jesus that doing our religious acts secretly will result in open reward from the Father. (Matt. 6:4, 6, 18) That could very possibly be on this plane in this life; but I don’t know for certain. I know for me, personally, the only time I’ve talked about any of my almsgiving is when I have passed up an opportunity to give by listening to the judgmental voice within me. Those times hurt, and become memorial stones of lessons to be shared with others. About the only practice engaged in by almost every believer is that of prayer. Jesus said we are to pray privately. That doesn’t negate the necessity of public prayer, but public prayer has taken a front seat in our Christian experience and is in danger of being little more than a religious exercise designed to keep us feeling secure in our religiousness. Jesus said that we are not to use “vain repetitions” in our praying. Many evangelicals—especially those who believe all Catholics go to hell—think “vain repetitions” refers to things like the practice of praying the rosary, because they say the “Hail, Mary” 10 times in a row. Or, because of the many other “canned” prayers recited by Catholics and other high-church folks. He told us what to say. He told us where to say it. However, in order to avoid being like those other folks (heathen), we won’t pray that way. Instead, we use our made-up, off-the-cuff, standard-format prayer. Try it. Go to different churches for the next month with the only purpose being to study public prayer. Try to find the differences. But, there is no way we are going to fall into the trap of making vain repetitions. Yes, I know that is the way we have been taught by example. I understand that. I also understand that the ones who are called upon to carry our prayer requests to the Lord on our behalf are of a sincere and honest heart. I just wonder if we have ever read Chapter 6 of Matthew with an eye toward trying to understand what The Master meant. Then, as if He hadn’t already knocked all our props out from under us, He goes for the jugular beginning in verse 19. Doing our righteous activities to be seen of men is, in reality, “laying up treasures upon earth” (Matt. 6:19). I have been fascinated for decades by the various dances done by teacher/preacher types concerning verse 24. Aside from the fact that the idea of “multi-tasking” is the deadliest thing to ever attach itself to our brain, Jesus said we can’t do it. We can’t serve God and pleasure; or God and things; or God and money. The word ‘cannot’ is key gaining the understanding of what Jesus meant. You CAN drive that speed on that road, but you may not necessarily enjoy the consequences. “You can’t drive your car at 100mph from New York City to London, England” cannot be misinterpreted as being illegal. Such is the case with Jesus' statement about serving God and the world. There are two different Greek words that speak to this kind of ability. One has the meaning of power and the other has the meaning of authority. That is the word that is used by Jesus. We will talk about that the next time we get together as we continue our study from the Sermon on the Mount.